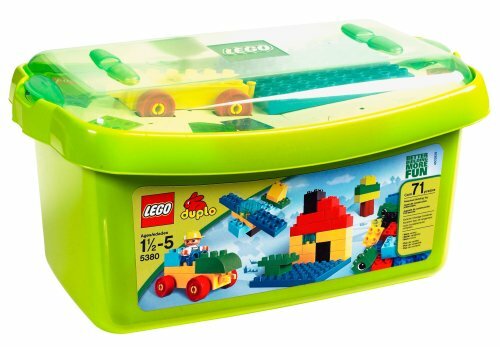 Little builders with big imaginations will love diving into this tub of colorful LEGO bricks. Comes with building plate, wagon base and figure to help inspire role-play fun. New container allows for easy clean-up and efficient storage. The transparent lid lets little builders display their models. 71 pieces. Tub measures 7.56"H x 15.12"W x 7.56".